Take your site building up a notch. 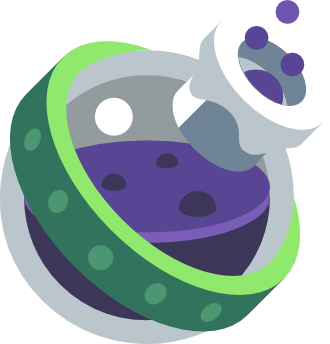 The Potion Pack is a set of addon stacks for Foundry that help you to take your sites to the next level. While Foundry itself comes with everything you need to create full-featured, responsive websites, the Potion Pack adds an extra touch of magic to your sites. We’ve included several different, more complex or unique stacks, that will help you in crafting your pages. Add "bookmarked" sections to your pages that can be accessed via links. Can also be used with the Mega Menu stack. Create angled, decorative backgrounds for your content using Foundry’s color swatches, solid colors or custom gradients. Build stylish backgrounds using gradients and images for sections of your page. Comes with an assortment of pre-built gradients. Create customized contact forms for your site. Add various field types and easily arrange them as you like within your form. Create blocks of content that are evenly and responsively distributed in a grid based off of the three Foundry breakpoints. Construct gorgeous hover effects for your images with this stack’s enormous selection of hover effects and overlays. Lazy loading images as the visitor scrolls to them can improve page load times when you must use large images on your page. Manually create more complex, highly customizable, horizontal navigation systems for your pages. Works well with Stacks’ Partials! Build a one-level, miniature pop-up navigation for your pages, manually creating the navigation structure. Beautiful, animated slideshow backgrounds are easy to build using the Motion stack. Includes Ken Burns effects and overlays. Fullscreen scrolling pages are made easy with the Sections stack. Build stunning one-page sites with ease. Allow your site’s visitors to instantaneously sift through your content that is contained within the Seek stack. Create elegant, animated hero style sliders focused on delivering content to your visitors in a unique way. Build a manually curated, hidden side navigation system for your pages that relies on beautiful iconography. Create manually curated, collapsable, easily navigable, vertical navigation systems for your pages. An elegant lightbox that puts your imagery center stage. Dismisses itself automatically as visitors scroll away. NOTE: The Potion Pack set of stacks requires Foundry and is not included in the base set of stacks you receive when purchasing Foundry.